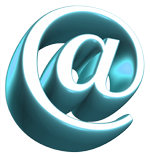 A hugely significant part of your web presence and company brand is email. It is just as important as your website. It needs to be professional looking and, most importantly, when sent to a particular place, it needs to get there. Email blacklists are databases used by organizations to decide if the IP connecting to a certain mail server is a spammer someone known to send invalid messages. If you don’t know the IP address that you send you mail from (not necessarily your own IP address) contact your host or internet service provider. They aim to improve mail security and most of them are community managed. If you (your mail server’s IP) are listed in any of these databases and you try to send an e-mail to a server that uses that particular database to filter spam, you will find out that you cannot send e-mails to that host. One such system is SORBS which blacklisted my IP once. Due to the fact that SORBS is run by volunteers and requests money to remove blocks, I am not sure that many organizations use it in their spam prevention plans. Sometimes the issue that will create a blacklisting is very small, yet removing it becomes something very big. There are several sites where you can enter the IP address that your mail is sent from to check if you are on a blacklist. Most of the time, you can remove your IP from any blacklist by visiting their site and submitting a removal form. Such information may include proof that you have ceased any actions that got your IP blacklisted in the first place, or may not require anything but your mere interaction, to demonstrate that you are not a robot or a script. Or you can get your host to do this. However this can take about a week! What do you do in the meantime? This will stop the problem in the short term while you negotiate the de-listing with the blacklisting company. Whether or not you are on an email blacklist it’s good to have backup. I can’t think of anything better than Google Mail. Here you can store up to 7340 MB of emails! Then when you get to the screen where you choose RoundCube, Squirrel Mail or Horde, click the “Forwarding” or “Forwarding options” and get a copy of all the mail you receive sent to your Gmail address. Then in Gmail, click Settings > Accounts then click “Add another email address you own” and enter your other email address. Google will then send you an email with a confirmation code to this other email address which you should enter in the window that has popped up from Gmail. Forwarding all mail to Gmail and adding custom “From:” addresses is by no means a fool-proof or fale-safe plan for email. However it’s incredibly useful to have copies of the mail that’s sent to your inbox and the ability to reply to that mail from the Gmail interface on a browser is a great way of nullifying the painful effects of a blacklisting! Nice tip to handle that monsters. Those email blocking servers are just crap and I always wanted to handle them in some sophisticated way. Yes, Costello, funnily enough, just after I wrote that article SORBS went bust! (Or cease to be – I’m not sure if charities go bust!) SORBS were one of the worse offenders at adding innocent parties to blacklists for spurious reasons and taking ages to de-list them. However, there are loads more like them. And this problem won’t go away; it’ll only get worse. As long as there’s spam they’ll be normal people like me getting caught up on the wrong side of a block! Another answer, of course, would be to get your own dedicated secure server – not cheap! How do you know ahmad are you having problems sending mail? There’s a link above where you can test the IP you’re sending from. Best of luck! Thanks so much for the tip! That will be very useful .. thanks for sharing! Many of our client’s are worried about SORBS listings. SORBS has actually been blocking a large portion of our datacenter for quite some time now for no other reason then that they refuse to deal with our requests for delisting. Many other network operators have had the exact same trouble with SORBS. Thus SORBS has gained a reputation for blocking many legitimate emails. Any email administrator who does not wish to block legitimate mail will not use SORBS. To illustrate how few email domains actually use SORBS, in my three years of dealing with blackistings, I can count on one hand how many bounced emails were actually the result of a SORBS block. We have seen cases where a server has been blocked by SORBS for years and never had a bounced email. In any case, we are always continuing to try to work with SORBS, but I doubt there will be a resolution anytime in the near future. Andrew, it was something I knew absolutely nothing about until it happened to me! The problem was I am on a shared server and someone else on that server was obviously sending unsolicited/dodgy email. That got us on a blacklist and (horror) some of my emails didn’t get through and bounced back to me. The most important thing to know is, if this ever happens to you, tell your host to route the mail through a different IP address until the problem is sorted out otherwise you may not be able to send mail to some clients for a month! If, however, you are on a dedicated server and don’t indulge in spamming (which I’m sure you don’t!) you will probably never have to worry about this. Have a great day, I’ll be emailing you shortly!